Marketing wasn’t Alexis Denby’s first pick for a career. Cutting up dead bodies was. That’s just one of the surprising insights the TAL general manager of marketing revealed to CMO in a candid interview about her brand vision and roadmap for the long standing insurance company. The insurance giant, whose moniker stands for ‘this Australian life’, is on a mission to shake up the insurance market and get better acquainted with everyday Australians, and Denby is helping to lead the charge. Before making her mark in life insurance, however, Denby was dedicated to pursuing a career in forensics science. “I am a scientist by education. I studied forensics science and spent many years cutting up dead bodies, and while doing that, I worked at a call centre in sales at Telstra,” Denby tells CMO. “I decided at the end of my degree that I didn’t want to wear a lab coat for the rest of my life, and was luckily offered a graduate program within sales and marketing at Telstra. And that started my love affair with marketing. After Telstra, Denby worked for GE Capital, rising to digital marketing director, before joining TAL as the general manager (CMO) of the direct business, leading both direct owned and partner brand marketing functions. 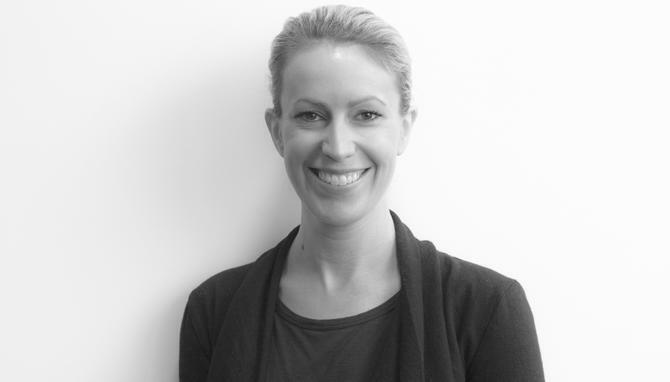 Over the last six months, her role has broadened and she is now responsible for all marketing distribution across TAL. Denby says her remit involves overseeing all marketing functions except brand. “We go to market through several avenues. We market ourselves as TAL to advisers, and financial advisers then on-sell our products. We also go to market direct with several brands,” she explains. A life insurance specialist for over 140 years, TAL insures more than 3.7 million Australians. In 2015, it reached a new milestone paying over $1 billion in claims. The group looks after marketing for Insuranceline, as well as marketing and distribution of life insurance for several partners including Qantas, nib, NRMA and Virgin Money. Denby is also responsible for marketing its comparison website, Lifebroker. Looking back over her time at the company, Denby highlights the launch of the TAL brand direct to market 12 months ago as a major accomplishment. The move to go direct to consumer is pivotal for the company’s future growth plans. Denby’s mission over the past three years has been to transform the business and modernise marketing functionality and operations. As part of this marketing transformation, TAL took on marketing automation in partnership with Adobe. The Marketing Cloud was implemented to deliver what Denby calls “nirvana personalisation,” which sees an industry moving towards personalised pricing and personalised product solutions. The adoption of marketing automation tools - and similar moves by her marketing counterparts - means today’s marketers are relying on tech platforms like never before, Denby says. Today, TAL has end-to-end quoting and application capability for all brands that are direct to market, which Denby labels a “sort of first” for life insurance. “As an industry, we are certainly a laggard when it comes to digitisation and technology. The life insurance industry is unique in the fact it is definitely ‘sold and not bought’,” she says. Denby acknowledges purchasing life insurance has not been easy or simple. She suggests it’s this outdated notion of ‘sold, not bought’ that has caused the overall industry to lose focus on the end consumer. One of the key elements of delivering on this is data and insight. And to help, TAL is focusing on partnering with external data sources, such as Data Republic. The marketplace provides a platform where TAL can exchange de-identified data with other organisations and build propensity models to create more relevant acquisition activities. “From a lifecycle perspective, we collect huge amounts of data as a life insurer when we underwrite policies so throughout acquisition stage. How do we leverage that data to create really brilliant experiences for our customers whilst they hold a policy with us? That’s another key focus for us,” she says. What’s clear is that a basic knowledge of technology is just not good enough anymore. “You really have to understand technology platforms and how they can drive relevancy and optimisation from a marketing perspective in order to be a really good marketer,” Denby says. As someone who “doesn’t just observe data, but demands insights from those observations, and drives change off the back of those insights”, Denby is eager for the next chapter in the company’s martech journey. In her efforts to ramp up the customer experience, plans this year include a continued focus on embedding marketing automation in terms of change management and driving return on investment. Meanwhile, over in the B2B space, Denby’s work involves delivering on the proposition taken to market last year, which was enabling growth for advisers. “They are going through an incredible amount of change with regulatory reform, so we are supporting them and enabling growth through various initiatives such as new product launches that we’re taking to market for them to diversify their product offerings,” she says. At an industry level, Denby expects to continue breaking down barriers and working to remove complexity that remains heavily entrenched in the insurance market.